I’m pleased to announce this week that one of the nation’s largest independent audiobook publishers has acquired the audio rights to my forthcoming novel Champion of the World. 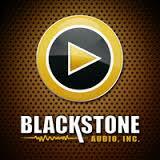 Blackstone Audio is based in Ashland, Oregon and offers over 10,000 unabridged audiobook titles, including more than 150 new offerings every month, according to its website. The company has been nominated for a Grammy and in 2014 won two Audie Awards, honors given annually to the country’s top audiobooks. It’s a thrill to know such respected professionals will handle any audiobook production of Champion of the World. The rights were purchased at auction. Check back for updates about when and where the audiobook version of Champion of the World will be available.